I had never read a comic like Grant Morrison’s Arkham Asylum: A Serious House on Serious Earth. It was the first to justify the term “graphic novel” for me, because the scope of the narrative, visual expression, and deft understanding of the philosophical symbolism of the Batman characters were beyond what you typically find in North American comics. After all, DC and Marvel create universes where characters remain static and the world you leave with is the same as the one you entered. It essentially got me into comics. And I had never really appreciated anime until I saw Porco Rosso by Hayao Miyazaki. It watched like a Hemingway novel, with subtle characters but an unspoken magic that hovers behind every conversation and long shot into the distance. This wasn’t Digimon. It was an adult narrative that didn’t really resolve, but just concluded. It got me into anime. I had started reading Naruto, Bleach, and One Piece in my mid-teens, so I was familiar with the narrative formula in what seemed to be all Japanese comics (most popularly encapsulated in Dragon Ball Z’s Goku, leap-frogging antagonists by gaining a more powerful form or upgraded abilities, until what started as a Spirit Bomb becomes a Spirit Sun by the end of the series). Like most, I got bored as I got older. Luffy had stretched too far, Ichigo’s sword lost its edge, and Naruto was little more than a shadow or a clone of the series that had come before. I wanted something with emotional depth and real characters—that challenged me as a reader, and could surprise me with its…well, it wouldn’t be a surprise if I knew. 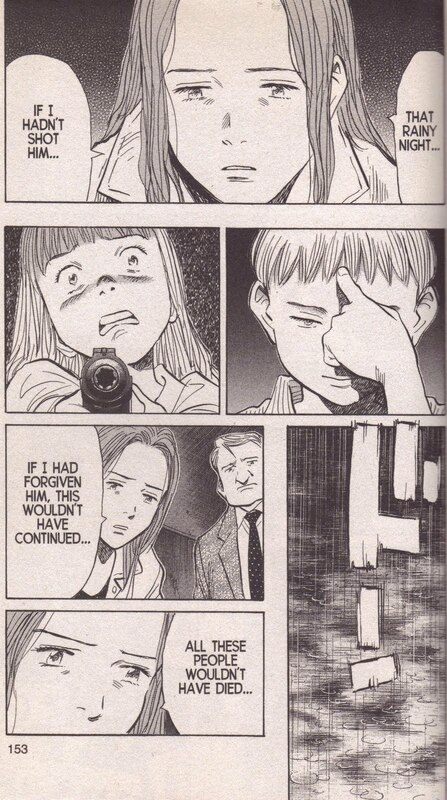 Then, one of Naoki Urasawa’s stories came across my reading list. A friend told me about Pluto, one of Urasawa’s later works, and I was hooked at the concept: “A mature, modernized retelling of Astro Boy.” I had never read Osamu Tezuka’s original collections, but knew enough about the character to imagine an author could take it somewhere new—or at least create some cool guns. I had no idea how much I was underestimating the work. The art showed such depth of expression. I had never seen it in any comic, Eastern or Western. The emotions were minute and complex. The world’s sci-fi elements were all expertly crafted (whether that be the cars or weapons, or the heavy Asimovian musing on the state of robotics in our future, and their bordering on humanity). But what captured me was the fact that character drama and mystery were the central elements of the plot. It wasn’t what I expected. Astro isn’t even the main protagonist until halfway through the narrative’s 65 chapters (or eight books). 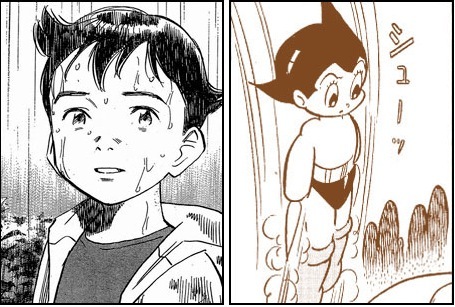 I would later learn how the entire collection reflects not only story elements from the original but how actual panels are drawn to reflect shots from Tezuka’s original telling. The drawing was simple but dramatic and the layout was cinematic. Each chapter slid into the next; I hardly noticed that I had finished the series in two days. I ordered it immediately and read it again when it arrived (the Viz media translation was even better than the .rip I had found online). I wanted more. As Pluto was one of his latest works (started in 2003) I jumped to some of his earlier projects. Monster was another story that had me at its Wikipedia description. Summarized, it follows the story of a Japanese surgeon who lives in Germany. He saves the life of a child who had been shot. Years go by and the boy not only turns out to be a sociopathic murderer, but he has framed the surgeon for his crimes. The surgeon, pursued by the law and numerous others, must find the murderer and not only clear his name, but end the life of the man he had saved so many years ago. The cast for Monster triples in size compared to that of Pluto, but every character is completely fleshed out. While some were more selfish than others, more manipulative, every position was defensible, begging the postmodernist question if what is right or wrong is only subjective, a matter of positioning. This mirrors the initial propulsion of the story—whether it was right to save the life of an innocent child who would become a killer—and continues with each character. The story is over 160 chapters, each filled with real people that struggle with unanswerable moral quandaries. You want the characters to succeed in one situation where in the next chapter you’re begging that they fail. I was stunned when I was finished. It was like watching a Guy Ritchie film, as the narratives all finally weave together and tie themselves into a complete and solid knot. 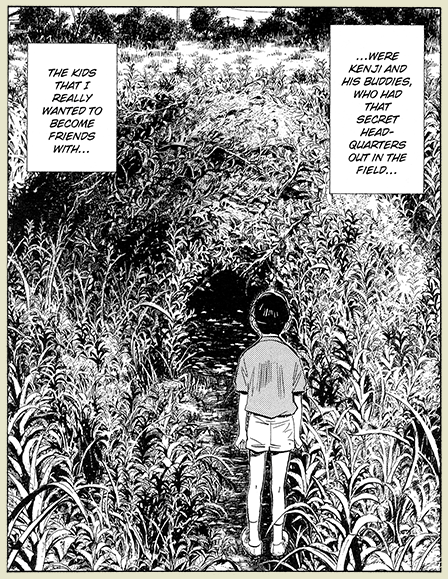 I had to start a third series, just to see if what I’d read had been Urasawa’s fortunate few flukes. And by simple chance, I landed on his opus. The title 20th Century Boys had intrigued me and I wouldn’t find out until halfway through my reading that the name had been borrowed from a song by T. Rex—the band better known for their track “Bang a Gong (Get it On)”—but the heavy leanings of rock and roll were apparent from the start. A recurring scene throughout the series is the protagonist sneaking into his principal’s office as a child, locking himself in, and playing rock and roll over the school’s intercom. A glorious moment of rebellion and self-will, but stranger still is that the story always stays the same. No one reacted, or seemed to even notice what had happened, and nothing changed. The first chapter begins with a group of Japanese children, all boys in elementary school, who create a clubhouse. For their club, they make a symbol, a hand drawn over an eye, similar to a hieroglyph. The reader then jumps twenty years ahead, and watches as a cult meets in an auditorium, waiting for their prophet. A man steps out from behind the stage curtain, wearing a mask that sports the same hand-over-eye insignia as the clubhouse icon. As the series progresses, the cult begins to take over the world and is central in a string of murders that the boys who formed the original club take upon themselves to solve. They have to, as the leader of the cult was one of the boys in the original club. And so the mystery of which one it is begins. Over the next 262 chapters, the story is split into three eras: when the clubhouse of children are in elementary school, after they have graduated college, and when they are middle-aged. Every era holds a different clue as to who is behind this cult and what its ultimate motives are and, from beginning to end, every age crisscrosses as the mystery is uncovered. The cast doubles Monster and, again, every character is given depth and complexity. Music plays a central role, with factoids parsed out about Robert Johnson and other figures in the history of rock. The protagonist becomes a messiah-like figure. Some chapters become Lovecraftian and the mystery remains a mystery until the very end. But you’re never really reading to find out who it is. You just want to watch these characters. The story is ultimately about who we become as adults, what we choose to leave behind as we mature, and some of the things that we should always hold on to, like hope and rebellion and things to believe in. All encompassed in loud drums and distorted guitars. From the characters to the drama to the art, everything about Urasawa’s work is beyond the scope of what we find in pop manga. And this has not been a suggestion to read Urasawa: it’s a directive. And I feel free to recommend any of Urasawa’s work, regardless of whether I’ve read them, because I know that at the heart of everything he writes is the care to make complete characters and base the readers’ interest in their internal drama, not just how large their sword will become. After all, we all know that, for most manga, the next arc will end with the hero just getting a bigger Spirit Bomb.